Chris 'C.T.' Tamburello is officially a married man! The Challenge star Chris 'C.T.' Tamburello, aged 38, got married to his girlfriend, Lilianet Solares on 9th September 2018. The wedding ceremony held in Florida was witnessed by their friends and family, including their 2-year-old son Christopher, Chris Jr.
Chris's alums on The Challenge, Cara Maria Sorbello, Tony Raines, Derrick Kosinski, LeRoy Garrett, Shane Landrum, and Wes Bergmann were also the attendees of the special event. Marking the occasion, the official Instagram page of the reality show shared the wedding picture on the same day. Chris was seen in a white suit whereas his bride wore a sleeveless plunging gown. "CHOO CHOO! Wedding train coming through", the page wrote and beseeched the followers to send the love for him via the caption. In May 2018, Chris and his girlfriend secretly married at a courthouse in Coral Gables, near Miami in Florida according to the wiki sources. The couple started dating after Chris moved to Florida in 2015 and first met his future wife, Lilianet, who is a model by profession. In 2017, he revealed that he is a father of a baby son, Christopher via the interview with Hollywood Life. Before Lilianet, he had a bitter experience of relationship with the reality star girlfriend Diem Brown. Diem lost the battle against Ovarian cancer and died on 14th November 2014 at the age of 34, five days after Chris proposed her. 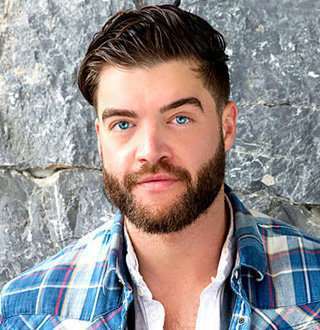 Chris, who stands at the towering height of 6 feet (1.83 meters), was born on 16th July 1980 in New York, the United States as Christopher Michael Tamburello. After pursuing a degree in Business Administration from the University of Massachusetts, he started working as a bartender. The television personality made his on-screen debut on the 13th season of MTV's show, The Real World in 2003. And since 2004, he has been a part of the reality show, The Challenge. With numerous appearances on various shows, he has accumulated the net worth of $400 thousand.